A better smile: You’ll finally have the smile you’ve always dreamed of! Veneers are placed over your existing teeth to make your smile brighter, straighter and more beautiful. A quick procedure: Though the veneers take 2-4 weeks to come in after your consultation, the actual application process can be done in just 2 visits. A natural look: Porcelain veneers look very realistic – no one will know it’s not your real smile! Porcelain is also very stain resistant, so you don’t have to worry about your morning cup of coffee ruining it. 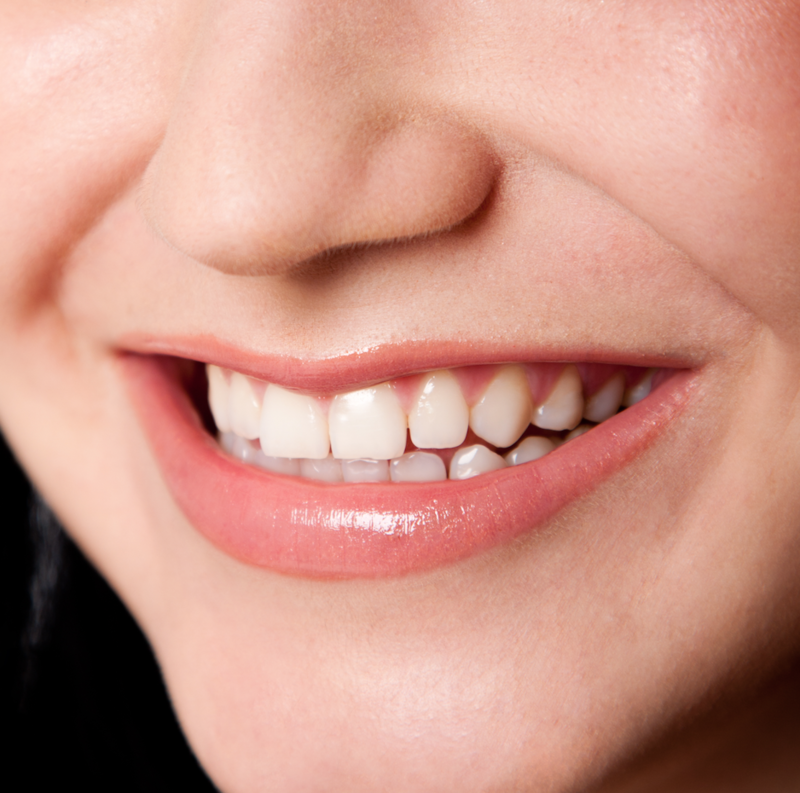 A great fit: Veneers can fit in great with your existing teeth because the color is so easy to customize. No special maintenance: Since there are no braces to work around, you can brush and floss normally. It’s irreversible: Because your existing teeth have to be altered, once you have veneers applied, there’s no going back. Thankfully, most people have no regrets and thoroughly enjoy their new smiles. It’s costly: Like most other cosmetic dentistry, it’s usually not covered by insurance, so it can cost thousands of dollars out of pocket. It needs replacing: Porcelain veneers last quite a while, about 15-20 years, but do eventually need to be replaced. Teeth sensitivity: Because veneer application requires enamel removal, your teeth may become sensitive to hot and cold. Chipping and cracking: Porcelain is delicate, so if you have a habit of nail biting or ice chewing, you may find yourself back at your dentist for repairs sooner than you wanted. Though the cons may seem overwhelming, for many who have struggled to love their smile, veneers are a wonderful choice and well worth the cost. If you’re looking to reshape, straighten or brighten your smile, this may be a great option for you.